The team at NEI is led by Dr. Raja Rami Reddy P., a specialist in retinal surgery with more than 20 years of experience in the field. 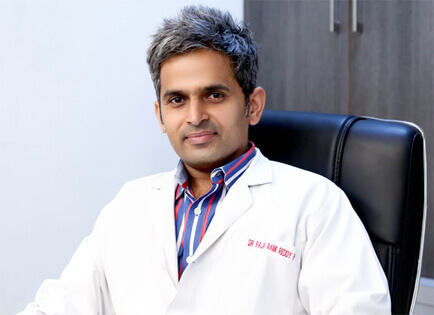 Dr. Raja Rami Reddy studied both his MBBS and MD (Ophthalmology) at the prestigious All India Institute of Medical Sciences (AIIMS), New Delhi, completing his MD in December 2000. In 2004, he was awarded the coveted Diploma of Fellowship of the Royal College of Physicians and Surgeons (FRCS - Ophthalmology) of Glasgow, the United Kingdom. 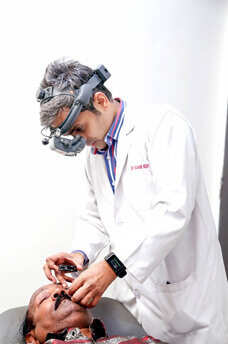 After completing his MD, Dr. Reddy was appointed Specialist Registrar for the Retina and Vitreous Department of the Dr. R. P. Centre for Ophthalmic Sciences at AIIMS, a post he held until 2003. 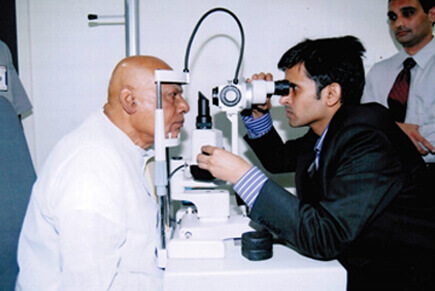 Since then, he had been a consultant retina and vitreous surgeon at various corporate hospitals in Hyderabad. He is a contributing surgeon to the vitreoretinal surgical video atlas published in 2010. Dr. Reddy is a regular presenter of scientific papers and surgical videos at national and international meetings, and has publications in various indexed journals to his credit. 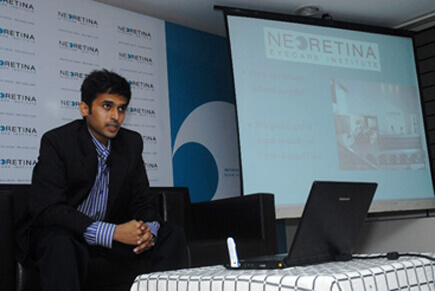 Dr. Raja Rami Reddy brought his considerable experience and proven expertise to build a world class centre for posterior segment diseases of the eye, to meet the enormous medical need represented by victims of retinal disorders, leading to the genesis of Neoretina Eyecare Institute in 2010. 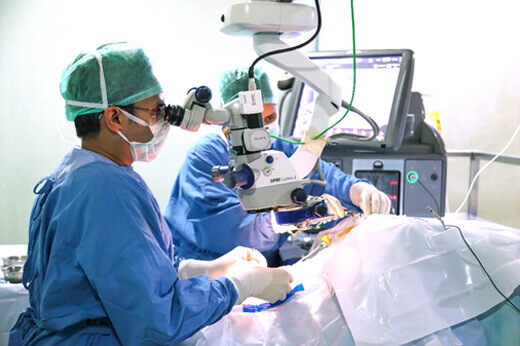 Today, as NEORETINA has grown in to one of the most reputed hospitals in the country, Dr. Raja Rami continues in his untiring efforts to give the best to his patients by providing the latest in eye care technology through continuous upgradation of the facilities, equipment and processes in the hospital.